Experience the healing and peace within you. The Ramadasa Method. Grow into a new, empowered you with Karen Korona, M.S. Master Kundalini Teacher and Healer. 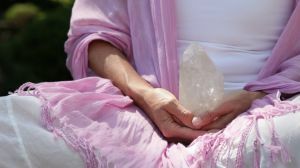 Karen has 35 years experience providing healing treatments and Kundalini empowerment techniques to thousands of people internationally. Unblock, release, heal and elevate your consciousness. Receive Karen's healing, wisdom and Kundalini life secrets to achieve your empowerment and happiness! Purify, rejuvenate and balance your body, mind and spirit with Karen’s Kundalini yoga techniques. Each class is focused on a particular theme, promoting healing and enhancing spiritual awareness. 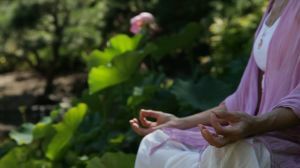 Karen offers a variety of meditation techniques to promote relaxing the body, calming the mind and developing focus and clarity. Her meditation classes help you to train your mind to sustain a single-pointed concentration, releasing the chatter during meditation and to enhance your well being every day life. Karen offers holistic healing treatments for women, men and children. Each treatment is uniquely designed, integrating a light touch healing technique, craniosacral therapy, and spiritual counseling, to promote your body’s natural ability to purify, heal, and revitalize.